RT (Roger) at Paneristi posted a message on their board that this book is coming out in November. Panerai’s watchmaking tradition spans 150 years from its foundation in Florence in the 1860s. As supplier to the Royal Italian Navy, Panerai perfected the world’s first underwater timepieces in the 1930s, which were both waterproof and luminescent. Panerai timepieces represent both glamor and technical brilliance. Until the 1970s, these beautifully designed watches were known only to the connoisseur; today they are collected by “Paneristi” throughout the world. Courageous adventurer Mike Horn wore a Panerai Arktos designed for him while making a solo circumnavigation of the Arctic Circle between 2002 and 2004. 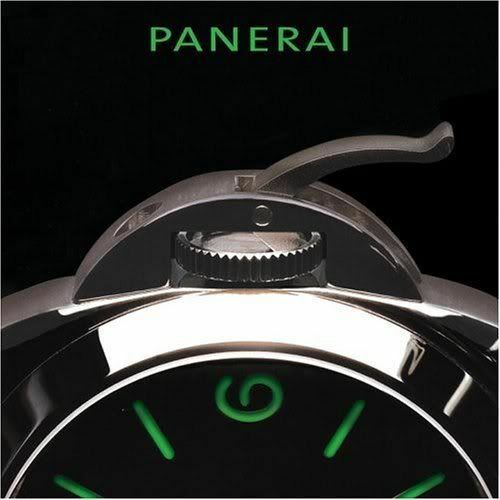 Panerai: The History presents the watchmaker’s remarkable technical and aesthetic achievements in original photography. An extensively researched catalog of the watches and other pieces in the firm’s collections and archives provides a unique resource for collectors and watch specialists. Stephan Ciejka has worked as a photographer and journalist since the 1970s. A specialist of military history and collector of vintage watches, he is the co-founder and Editor-in-Chief of La Revue des Montres, Europe’s leading fine watches magazine.